Shoei’s new Ex-Zero is rather special. It’s based on the company’s off-road helmet from the 1980s although, like the Moto 3, it’s aimed today very much at the road rider looking for a touch of retro chic. 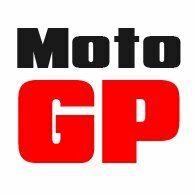 It’s going to be £90 more expensive than the Moto 3, but everything we’ve seen leads us to believe that it’s a much nicer helmet. With its AIM shell, we think it’s going to be a safer helmet. With a shell based on that of the J.O, it’s going to be a much better fit, with an array of changeable internal liners and cheek pads. It’s also got a fantastic drop-down visor. It really is a cracking helmet. It’s due for release on July 19th, so touch and go whether we’ll have it for that weekend (21st/22nd July). We have our fingers crossed. As always, initial supply will be limited until further deliveries arrive in the months to follow. If you don’t want to miss out, you should place a pre-order. If you don’t know your size, come and visit us. We’ll fit you for the Shoei J.O. The fit on the Ex-Zero will be exactly the same. They won’t be here for this weekend; they might not make it for the weekend after, but Resurgence’s new New Wave jean is due soon. And it’s a bit of a game changer. Up to now, Resurgence has been famous for its lined jeans. Their Voyager jean is the strongest on the market with a 10.83 second slide time. 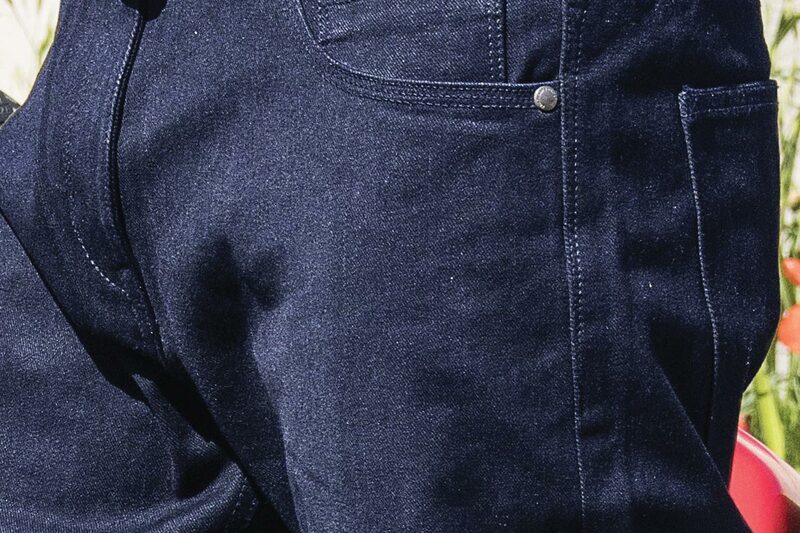 Their Café Racer selvedge jean is probably the most stylish jean you can buy. Whilst their Ultralight jean is the sexiest, with a fit that can only be described as ‘boy-band’. But their new jean is single-layer. We’ve been testing them for months, and we reckon they’re a bit special. They’re super light, very easy to wear all day, and flow the air beautifully on the bike. But here’s the kicker; they’ve got an amazing 11 second slide time. No jean, lined or unlined, has got to 11 seconds. Their own Voyager jean got close, but they were heavy, and not nice to wear in the summer. If you’re looking at a new pair of jeans, you should check them out. They’re £295, so they’re not cheap, but with nearly three times the abrasion resistance of leather, they’re probably worth it. We’ve been busy in recent weeks writing new stories for the website, and if you’ve not been on the site for a while, it might be worth a look. There’s an important editorial on safety and motorcycle helmets. 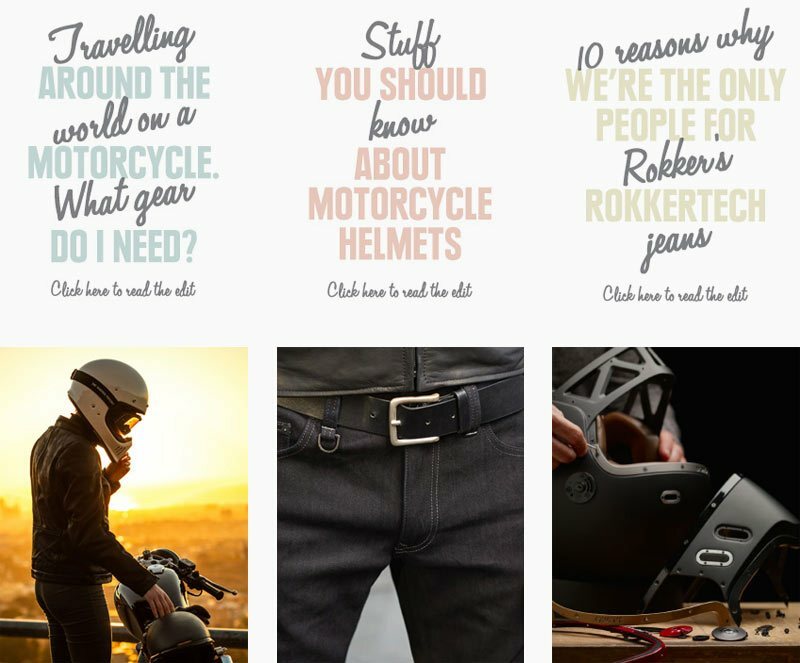 And a piece about the need to get properly fitted if you want to buy a pair of motorcycle jeans. We’ve also uploaded a précis of a letter we wrote to a chap who was travelling around the world, and who wanted advice on what gear to wear. 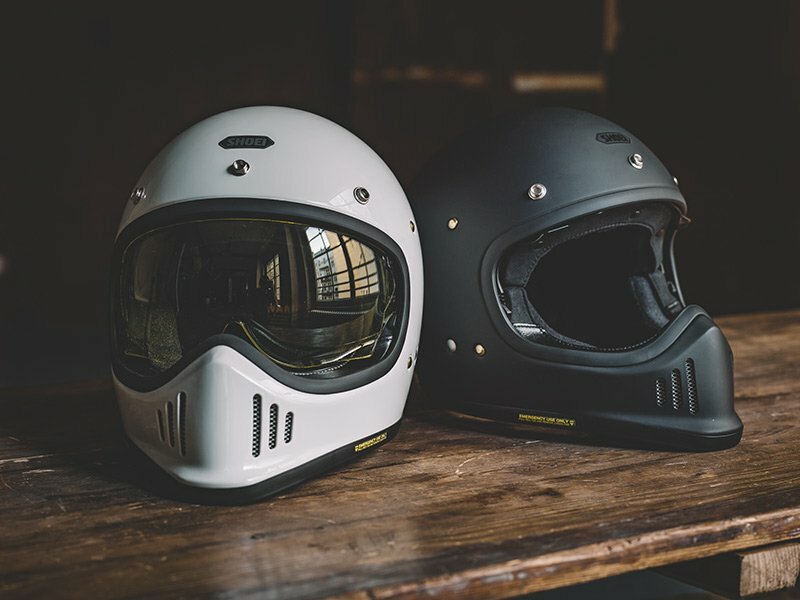 We’ve also got some new product reviews; things like Shoei’s new Ex-Zero helmet, Spidi’s new J&Dyneema jean, and the ultra-funky Qwart helmet. We love our website, and try to always keep it fresh and different. If you’ve not been to look at it for a while, you’ll find that quite a lot has changed. If you receive our catalogues, you may well have read about our collaboration with Brian of BKS Leather. Brian makes the best, bespoke leather suits in the world, but he’s long wanted to create a superior café racer jacket. It’s taken him a while to get there, but the jacket is now in the shop, and it’s exquisite. It’s not for sale online, but it can be bought in store. 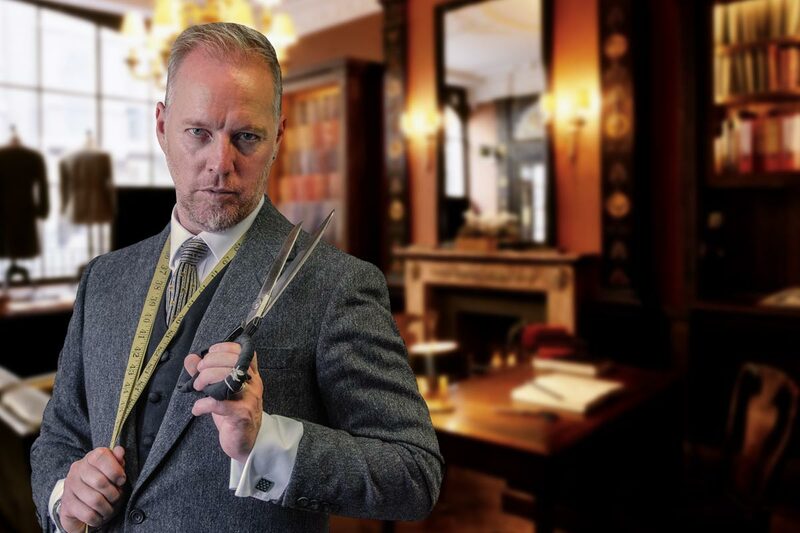 Most people, however, are going to want the full bespoke treatment, where Brian will tailor the jacket to your particular requirements; not only in terms of sizing, but also on the detailing. You can choose options for pockets, zips, detailing on the leather, interior linings and so on. The end result is a jacket totally unique to you. Well Brian is coming in to see us on July 7th, so if you’d like to book an appointment for a fitting, phone us on 0844 887 7788. Buying a pair of motorcycle riding jeans is not like buying a pair of jeans in GAP. We see lots of people in the shop who have bought the wrong jeans, or jeans that simply don’t fit them properly. They’re sometimes too short, often too long. And frequently the armour is in totally the wrong place. There’s an editorial story on the front page of the website about why it’s vital to be properly fitted for a pair of jeans. And that’s what we do here in the Guildford shop. 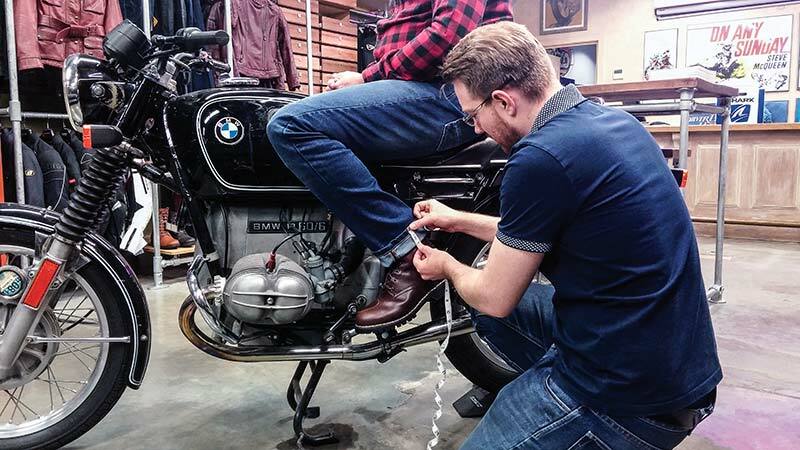 It helps that we’ve got such a huge range of jeans, but the first thing we do is get you to sit on our shop bike to make sure the fit is good, that the armour is where it should be, and that the leg length is right for the bike. 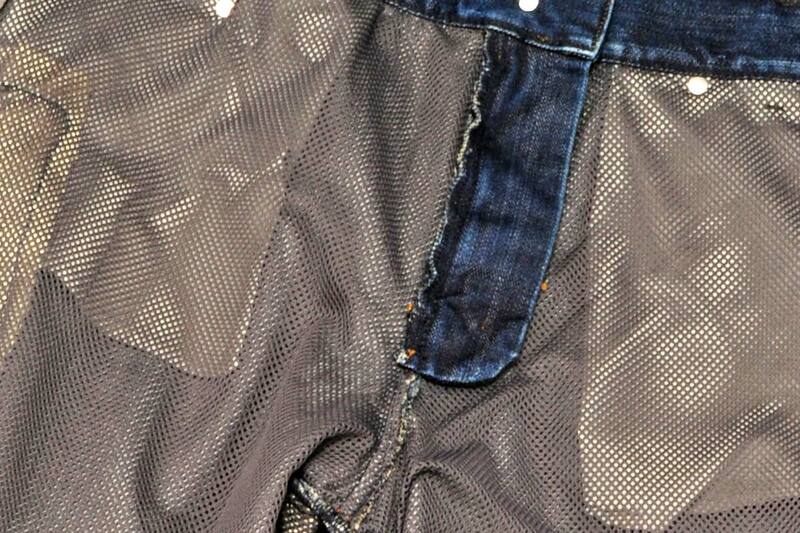 We’ll undertake all alterations for free, even if that means moving the Velcro strip inside the jeans. Most shops, frankly, want you to work it all out when you get home. Well that’s not our way. We don’t want anybody leaving the shop until everything works. First thing, I’ve said Kevlar, but I really mean all lined jeans. No disrespect to DuPont. But my point is that lined jeans are on their way out. In a couple of years, nobody will be making them. And that’s because single-layer jeans are so much better in so many respects. Especially at this time of year. On the website, there’s a new article all about single-layer jeans. We explain what they are, and why they’re nicer to wear. We’ve explained all about ‘slide’ times, and have given an overview of the best single-layer jeans on the market. We think you’ll find the piece interesting.